The Geffrye museum focuses on the urban living rooms and gardens of the English middle classes. The collections show how homes have been used and furnished over the past 400 years, reflecting changes in society and behaviour as well as style, fashion and taste. The restored historic almshouse has been fully restored to its original condition, offering a rare glimpse into the lives of London's poor and elderly in former times. Tours are conducted by museum volunteers and take place at specific times each month. It is located in the south wing of the museum buildings and has its own entrance. The Geffrye is located in Shoreditch just minutes from the City of London. It is easily reached by public transport. The Locksmith's House celebrates the efforts of the small family run lock making businesses which thrived over a century ago. Working from the back yards of their own houses, hundreds of small family businesses evolved. A visit to The Locksmith's House will demonstrate how such a business operated alongside family life. 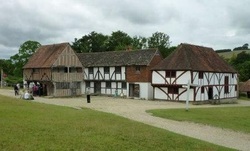 Weald & Downland Museum - Not one house but many traditional buildings all set in a glorious rural landscape that tell the story of the men, women and children who lived and worked in them over a 600-year period. You can explore the 50-acre site and visit some of our 50 exhibit buildings. Many of our exhibit houses are furnished to recreate historic domestic interiors. Nestled in the heart of rural Sussex, Monk’s House is a tranquil 17th-century weatherboarded cottage inhabited by Leonard and the novelist Virginia Woolf from 1919 until Leonards death in 1969. The house appears as if they just stepped out for a walk. 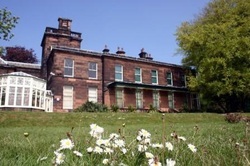 The Woolfs bought Monk's House for the 'shape and fertlity and wildness of the garden'. Today, the lovely cottage garden contains a mix of flowers, vegetables, orchards, lawns and ponds. Jane Austen is one of the most popular and important novelists that England has ever produced and the house at Chawton is where she spent the last eight years of her life. It is of international importance as the place where she did the majority of her mature writing, but at the same time retains the charm of a village home. 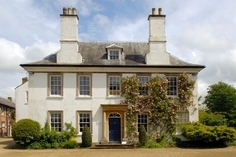 A 17th century house, it tells the story of Jane Austen and her family. 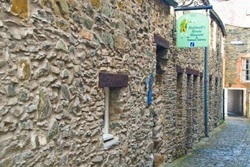 The Museum is situated in the very atmospheric Halliwell's Close. The narrow, cobbled lane with outhouses, which was formerly gas-lit and was typical of many such Closes in Selkirk, has a compelling history dating back over 400 years. 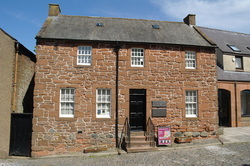 The museum building itself dates from the end of the 18th century and is part of what is probably the oldest surviving row of dwellings in the historic town of Selkirk. elegant townhouses, and the less fortunate who worked in them. 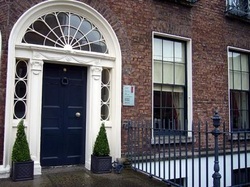 Located at the junction of Fitzwilliam Street lower and Mount Street Upper. 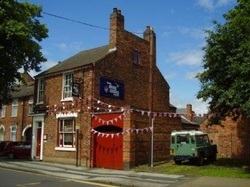 Mr Straw's House in 7 Blyth Grove, Worksop is a hidden treasure, a National Trust property unlike any other in its ownership. A 1920s house belonging to a world where time has stood still For 60 years the family threw little away and chose to live without many of the modern comforts we take for granted. Photographs, letters, Victorian furniture and household objects spanning 100 years can still be seen exactly where their owners left them. 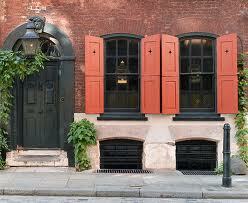 Dennis Severs’ House is a time capsule attraction in which visitors are immersed in a unique form of theatre. The ten rooms of this original Huguenot house have been decked out to recreate snapshots of life in Spitalfields between 1724 and 1914. 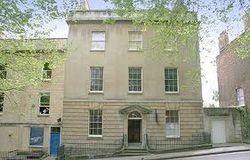 The Georgian House is an 18th century, six storey townhouse in the centre of Bristol that has been restored and decorated to its original glory. The house was built in 1790 for John Pinney, slave plantation owner and sugar merchant, it was also where the enslaved African, Pero lived. It is displayed as it might have looked in the 18th century with an insight into life above and below stairs. Dove Cottage, Grassmere a little cottage, in the heart of the remote Lake District where William Wordsworth wrote some of the greatest poetry in the English language and Dorothy kept her famous 'Grasmere Journal', now on display in the Museum. Step into Dove Cottage to get a sense of that time: stone floors, dark panelled rooms, glowing coal fires and the family’s own belongings. 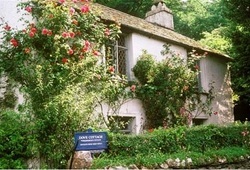 Little has changed in the house since the Wordsworths lived here. The museum comprises the famous Burns Cottage where the poet was born, the historic landmarks where he set his greatest work, the elegant monument and gardens created in his honour and a modern museum housing the world’s most important collection of his life and works. is a house in Laugharne, Wales, in which the poet Dylan Thomas lived with his family between 1949 and 1953, the last four years of his life. It was in this house that he wrote many major pieces. The house is set in a cliff overlooking the Tâf Estuary. The Boathouse is now owned by the Carmarthenshire County Council and serves as a museum. It is open to the public for most of the year. It is a 10 minute walk from the centre of Laugharne along Dylan’s Walk, passing the Writing Shed which can be viewed from the pathway. 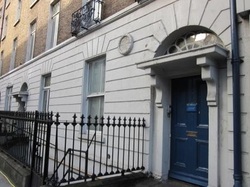 Oscar Wilde was born at 21 Westland Row in 1854. 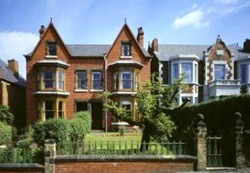 All the houses along that side of Westland Row are now owned by Trinity College,. The internal structure of 21 Westland Row is to be preserved and refurbished in 1850s period style to commemorate the achievements of Oscar Wilde who was one of the university's most famous students. It is also envisaged that the house should celebrate the lives of Oscar's parents who played a key role in the intellectual life of Ireland in the last century. Edward Jenner was an English doctor, the pioneer of smallpox vaccination and the father of immunology. 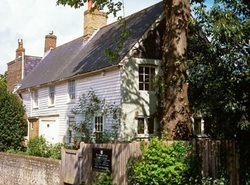 The Edward Jenner Museum at The Chantry is the house that Edward Jenner owned from 1785 until his death in 1823. The house that you see today dates from 1740s. It is thought there has been a building here since at least the Anglo-Saxon period. Many of the photos containedi n site are original and copyright tracemyhouse. Some have been copied and wherever possible the owners permision has been sought to use them and the ownership is acknowleged but in certain cases this has not been possible because we have been unable to find a link or is an oversight for which we apologise unreservedly and welcome feedback so we can put matters right.